Propionic acid is an organic acid that occurs naturally as a result of the kind of bacterial action found on skin or in the gastrointestinal tract. Its chemical formula is C3H6O2 and it is also produced through industrial chemical reactions. It is a common additive in food and is considered safe when used in accordance with current practices. In its natural state, it is an oily liquid with a slightly pungent and rancid odor. Propionic acid, also known as propanoic acid, with chemical formula C3H6O2, is an organic acid used as a food additive and found naturally on the skin and in the gastrointestinal tract. It is a byproduct of fermentation reactions and is also produced industrially from ethylene or ethanol and carbon monoxide. As a food preservative, it prevents mold in bread and baked goods, and it is used as a flavoring agent in cheese and other packaged goods. Propionic or propanoic acid is produced when bacteria ferment sugars such as glucose. The propionic bacteria found naturally in sweat glands and in the intestines produce propionic acid and carbon dioxide in a fermentation reaction. Industrial biological processes to manufacture the chemical include the fermentation of a mash made from corn meal. Other mixed acid fermentations in which a number of different acids are produced are also used. Nonbiological manufacturing is based on petrochemcial reactions. The Reppe process uses carbon monoxide, ethylene and steam while the Lardon process uses carbon monoxide and ethanol. While the bulk of worldwide industrial production is still based on these chemical reactions, increased use of the acid and the high cost of petrochemicals has led to a greater emphasis on inexpensive biological processes. Propionic acid prevents the growth of fungus and molds, and the acid and its salts can be used as a flavoring agent in some foods. Its use in a variety of products has been increasing, and expanded applications include industrial processes as well as the cosmetics and pharmaceutical industries. 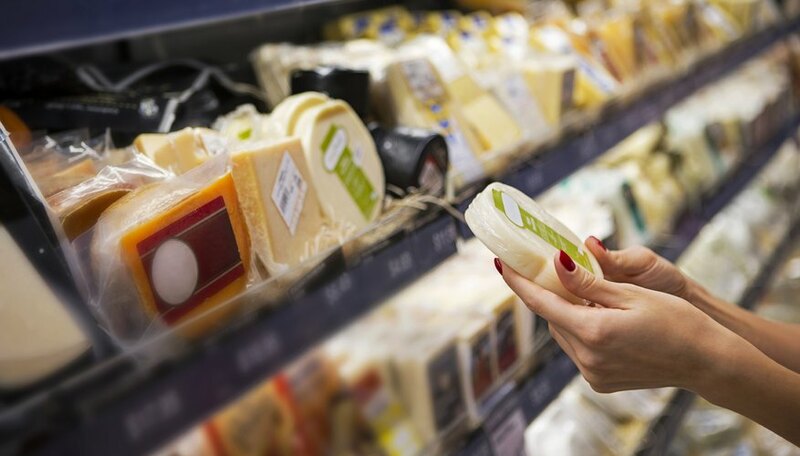 Historically, propionic acid has been used in bread and baked goods to inhibit mold growth, and it is also commonly used for the same purpose on the surface of cheeses. More recently its uses have extended into packaged goods where it is also used as a flavoring agent. In industry it is now used in plastics, herbicides and rubber production. It is often used as a general mold prevention product, and containers may be dipped into a solution to kill mold spores. Typical concentrations in food are 0.3 to 0.4 percent and the acid is digested naturally, adding only a small part to the already present propionic acid in the gut. One reason for the increased use is the high level of confidence in its safety in food and cosmetics. Because it occurs naturally on the skin and in the gastrointestinal tract, the risk of adding small quantities to the amounts already present is minor. In the quest for safe food additives that keep products fresh and enhance flavor, propionic acid has become an important factor. Markgraf, Bert. "What is a Propionic Acid?" Sciencing, https://sciencing.com/what-is-a-propionic-acid-13712145.html. 14 May 2018.